I really did feel it was high time that I planned a Crochet-a-Long with you guys, but I wanted to make it fun and something for the little ones to enjoy as well. 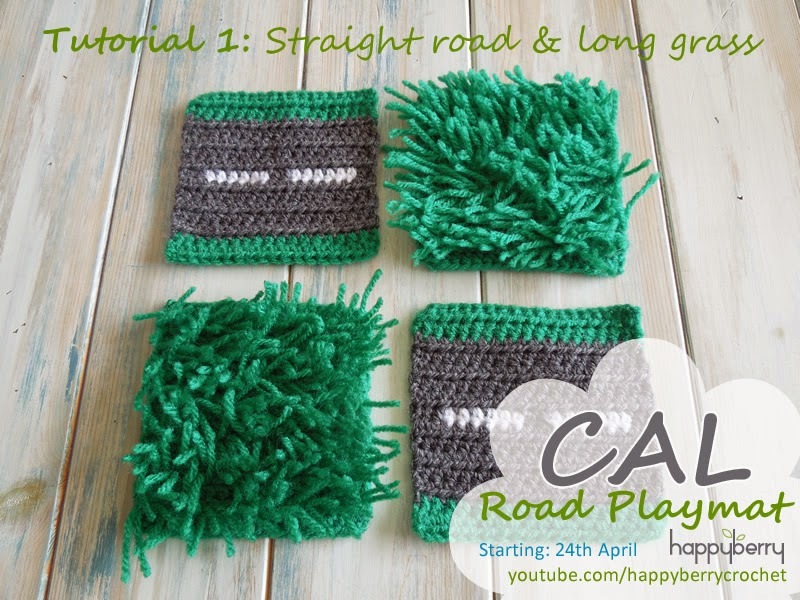 So here is my idea for my forthcoming CAL, a Road Play Mat or Blanket, which will be full of different textures and features, including roads, grass, farmer's fields, flowers, veg patches and ponds, which will be made up of 10cm x 10cm (4" x 4") squares, which we will join together at the end. This Friday I will be starting with two different squares, a straight road square and a long grass square, but here is the full list of materials that you will need for the whole CAL. The listed yarn colours below need to all be DK / Light Worsted weight yarn, but you can use Aran / Worsted weight yarns if you prefer. We are working to 10cm x 10cm squares (4" x 4") but size really doesn't matter as long as the squares are all the same size for you so we can join them together at the end. You will need a 3.5mm E/4 crochet hook or a hook size suitable for the yarn you are using. A minimal amount of toy stuffing, or yarn scraps for stuffing (you won't need very much at all). Not to confuse. I comment in my nickname : "ANDI", It's still me: "LYNDA". I love all that you do. You carry a full life. Sounds like such a HAPPY life. Your Hubby and Child are Lucky to have You. Your Gratitude having them shines in You like a Beacon. 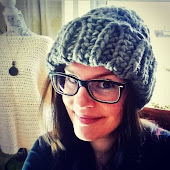 I've crocheted for decades. Amazing what one can forget. I used to create as I went along as well. One evening when my first child was a toddler I began a chain not having a plan. Maybe yet another blanket. I was mastering quite a few stitches, but unlike my little Sister, I couldn't read a pattern. My Grandma had taught me by sight. I could look at any, any work and duplicate it right off. So, no copy; no work. Anyway as I began single crochet it popped in my head how cute he'd look with a vest to go woth his plaid bell bottom corduroy pants. This is the '70's mind you. And before I went to bed he had a pull over vest. The vest was even trimmed in a coordinating color. Today I struggle a bit with patterns still. Especially when stitches have new names. Popcorn is now a Puff stitch. I think? I loved that. I love learning flowers. I belong to a Shabby Chic FB group and I'm trying to make very small flowers. Also these tiny purses will be good. We do alot of gift giving. So I will be doing much of this to pack up and send to Admins. The note inside will say I made it but Designed by You with links to You. We play Grateful also. ONE BIG FAVOR LAURA! On a 5 or 6 petal flower, to make the petal mimick a real one or take less Real Estate, I'm trying to remember how to get each petal to start from behind the last one. The the last petal should end just in the middle, bottom front of the first. Like a pinwheel. How can I do that. I get a brain cramp trying to work the process. Hmmm, By the way, coming up on warm weather, carnivals, etc. a pinwheel look and starfish might be great. I love the Seahorse. Seamed too difficult for me. I'd love an easy Butterfly. Better yet a dragon fly. Or wings period. We use Angels lots. Well, I talk too much.